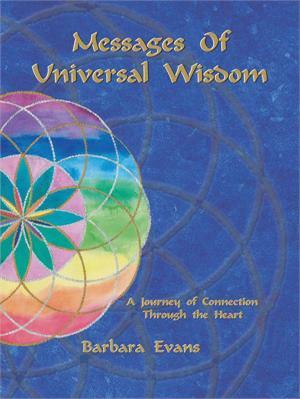 Barbara Evans: "Messages of Universal Wisdom"
Home > Books, CDs & DVDs > Barbara Evans: "Messages of Universal Wisdom"
Messages Of Universal Wisdom invites readers to experience a guided journey to higher levels of Consciousness. It focuses on thirteen Image Keys by visionary healing artist Barbara Evans. The Image Keys are energetically interactive KEYS whose purpose is to activate our Divine Blueprint. The story interweaves sacred geometry and crystals with channelings from ArchAngel Metatron and Mary Magdalene… presenting an inspiring opportunity for us to Open and Heal our Hearts, Reclaim our Wholeness and Awaken our Full Potential. FW Book of the Year 2009 Finalist.